Quilt an explosion of colors! If color is your game, then this quilt has your name all over it! 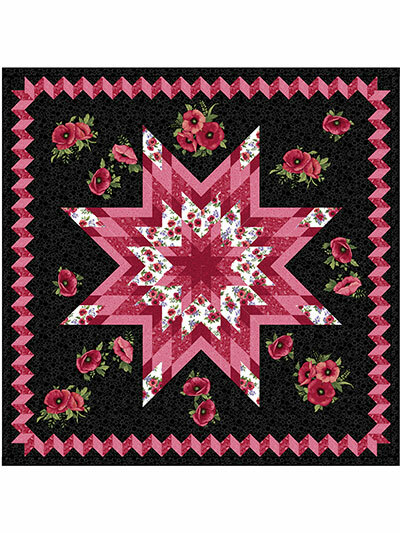 Use shades of the same color or a mixture to make a unique quilt using an atypical Lone Star design. The dramatic and eye-catching border appears to be difficult, but it's much easier than it looks. 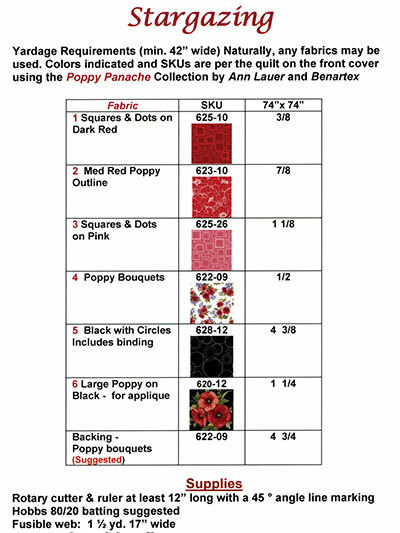 The poppies are made by using fusible raw-edge applique. Finished size is 70" x 70".